This is a whiskey that needs no real introduction. I’ve tasted, and you’ve probably read, through a dozen of these releases by now, but for the newcomers it’s alwasy worth repeating. 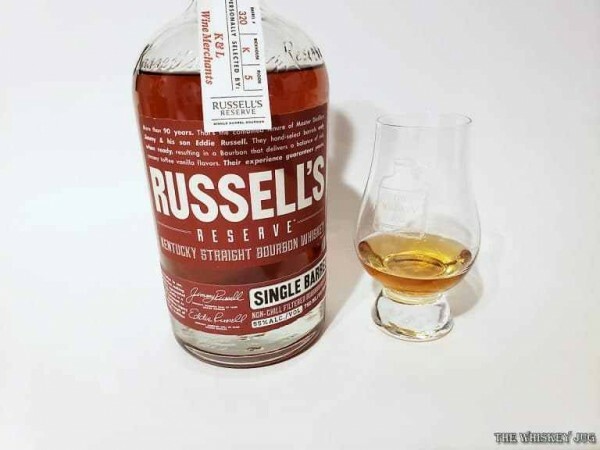 Russell’s Reserve Bourbon Single Barrel #320 is a single barrel of Wild Turkey aged for around 10 years and bottled at 55% which is just a few degrees off of cask strength. This is Wild Turkey as raw and uncompromising as it comes. Being a single barrel it means you get to explore different aspects of the brand that don’t always show in the large batched stuff or if it does show it’s a minor note. Other times, like this one, it’s the embodiment of the core of Wild Turkey and what the Russell’s produce. This stellar cask was selected by us WAY BACK in August of 2016. We were incredibly lucky to have had Mr. Jimmy Russell himself out to the warehouse with us. We hadn’t realized, but two of those barrels got lost in the suppliers warehouse for nearly TWO years. This incredible whisky was distilled on January 24th 2007 and aged in on the 5th floor of warehouse K. It was bottled in late 2016. 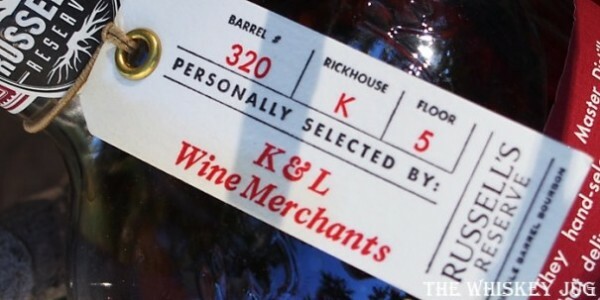 Oak, dark fruit, char, corn cakes, toffee, maple syrup, vanilla, cinnamon and light malts. Dark fruit, oak, roasted corn, char, spice, nuts, touch herbal and vegetal. Long -> Dark fruit, oil char, oak and spice. Great balance, full body and a warm feel that fades dry. This is the power of Wild Turkey on display. 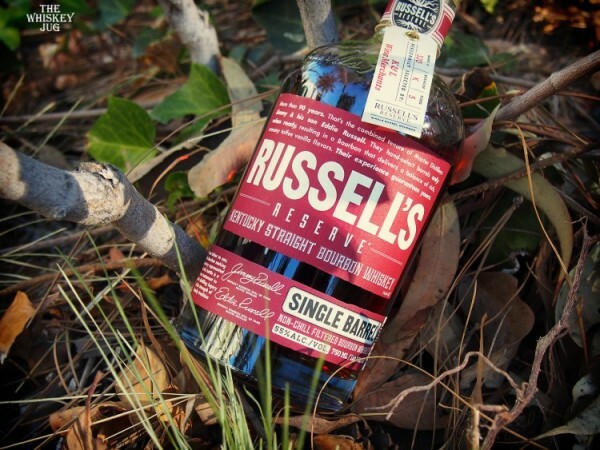 Russell’s Reserve Bourbon Single Barrel #320 is rugged and rustic but sweet; spicy and bold but subtle; loud and brash but warm and homey. Everything comes together here to create a whiskey that’s punchy yet balanced. This is the kind of bourbon you want to take home to meet the folks. Well I don’t, my parents don’t drink, but if your parents drink then this could be the kind of whiskey worth introducing them and share a glass or three through the holidays. Win points with the in-laws or once again remind to your parents why you’re the favorite. Russell’s Reserve Bourbon Single Barrel #320 is tasty tasty tasty. 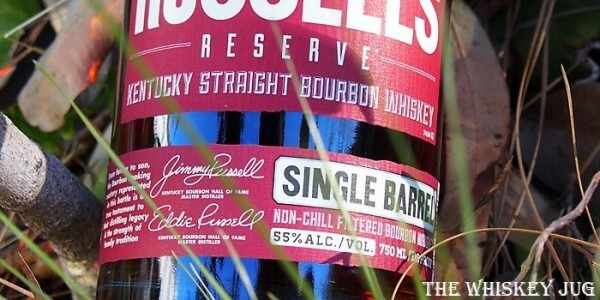 The post Russell’s Reserve Bourbon Single Barrel #320 Review appeared first on The Whiskey Jug.